New Delhi : The Confederation of All India Traders (CAIT) in a stakeholders meeting today urged upon the Government not to make Indian retail market as e-commerce dumping yard by allowing FDI in e-commerce. The meeting was convened by Commerce Ministry. CAIT Secretary General Praveen Khandelwal while participating in the meeting said that Indian retail trade is not merely a form of business but it is a source of livelihood of tens of millions people in the Country. Khandelwal while charging e-commerce as a tool for converting India into a dumping ground said that dumping happens when prices are artificially lowered by accessing funds from overseas sources, be it government or otherwise. Currently, under in eCommerce business in India, the e-retailers are selling products much below the actual price of the manufacturer. This is possible only because of funding received from overseas. This is nothing but eCommerce dumping. If FDI in e commerce is allowed, it will facilitate mass scale dumping of products from over the globe to India. Expecting FDI in retail to create an uneven level playing field, Khandelwal said that though 100% FDI is allowed in retail in B2B model, the e-retailers are openly circumventing the norms and indulging in B2C model which is creating an uneven level playing. Further in foreign countries, the finance is available at interest rates ranging from 1.5% to maximum 3% whereas in India the corresponding interest rate varies from 12% to 20% and more. FDI funding with such a big margin of interest rate is quite sufficient to monopolise the market. Khandelwal said that before giving any shape to FDI policy in E-Commerce/Retail, an Impact Assessment on various stakeholders has to be made in great detail. 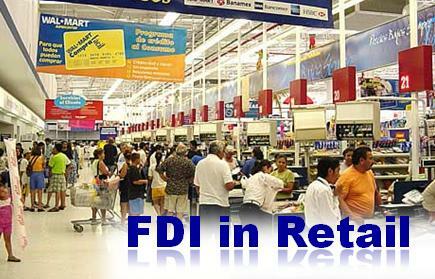 The CAIT has opposed entry of FDI in any segment of retail and has urged the Government to frame a National Trade Policy for Retail Trade to provide better business opportunities to Indian retail sector. On the other hand it has also advocated formation of specified policy & guidelines for e-commerce as it is already enforced in Countries like USA, UK, European Union, China etc.